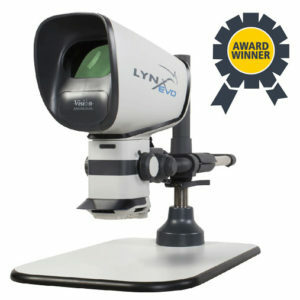 Lynx is a unique eyepieceless stereo microscope for intricate tasks requiring high resolution stereo viewing. 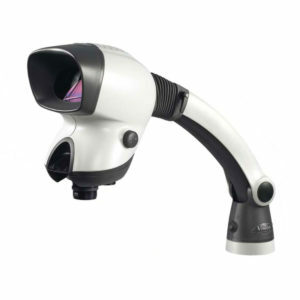 Its patented ergonomic design brings unrivaled levels of comfort and reduced operator fatigue, leading to an increase in quality and productivity. 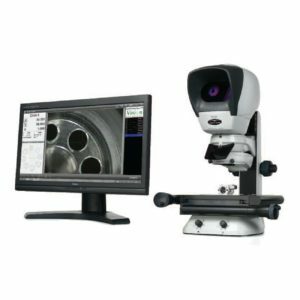 The Lynx stereo microscope utilizes Vision Engineering’s patented Dynascope technology which offers the user advanced ergonomics by removing the need for restrictive eyepieces. 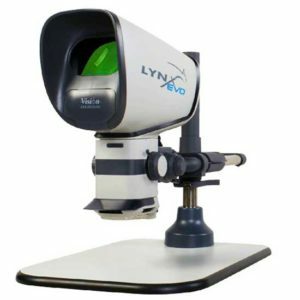 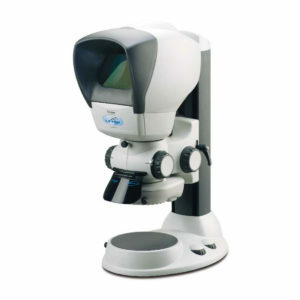 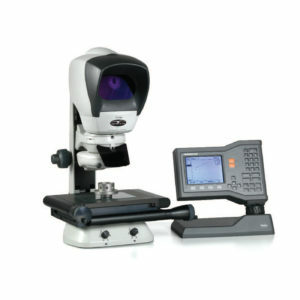 The Lynx stereo zoom microscope is used in a wide range of industry applications including general manufacturing, electronics, precision engineering, medical devices, plastics and rubber. 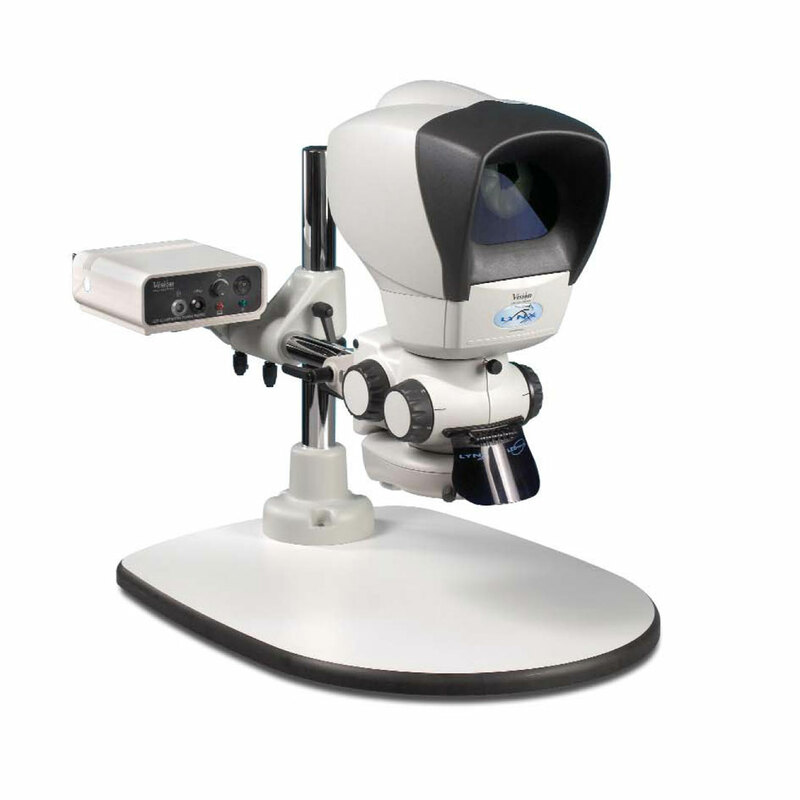 3.5x-120x stereo zoom magnification range (7x-40x standard). 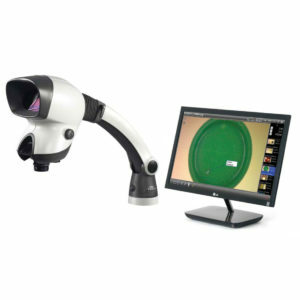 Patented optical technology provides superb hand-eye coordination for manipulation tasks. 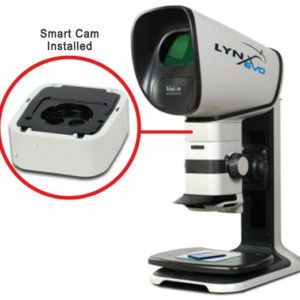 Bench stand, low profile or flexible boom mount versions. 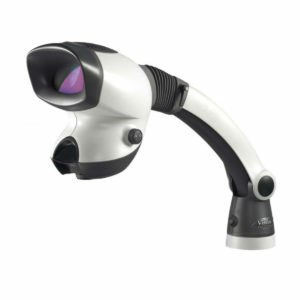 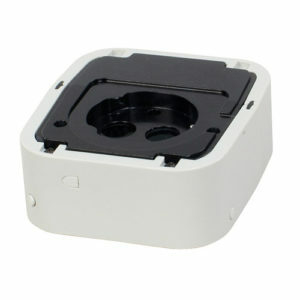 Long-life, true color LED illumination for shadow free viewing of complex surfaces.